Robert Weaver joined ILM in January of 1991 and began work as a Technical Director, lending his skills to an array of critically acclaimed films including: Contact, The Mask, Death Becomes Her, and Hook. 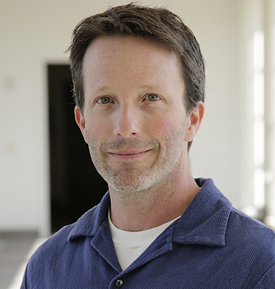 He moved into the role of Visual Effects Supervisor at ILM in early 2000. As a supervisor, Robert is responsible for the technical directors working within a particular sequence and for the development and implementation of particular visual effects “looks” for various feature films. Some of his more involved projects have included Star Trek Into Darkness, Battleship, and Harry Potter and the Half-Blood Prince. This summer, he finished post production work on Michael Bay’s Teenage Mutant Ninja Turtles. A graduate of Ohio State University, Weaver earned his Bachelor’s Degree in photography and cinema.